April | 2015 | The Reviewers Unite! Normally I don’t preface a new set of recaps with a lengthy explanation of why I’m doing them, but in this case I felt it was appropriate and necessary to provide a little back story and history. This clearly isn’t going to be something that will be to everyone’s liking considering what’s in the show itself and the franchise that it’s a part of, and I can totally understand where that is coming from. I’m a huge fan of this series in particular and am starting to experience the franchise as a whole which has maintained a surprising level of quality over its forty year life span. That said, it’s also been consistently problematic over that time and after taking a brief look at every televised and film adaptation of this series, it’s pretty depressing to think how it’s actually somewhat regressed in certain iterations. On the one hand, having such a clear interpretation of the character and the world is probably one of the reasons that it actually manages to be good every time someone dusts off the series (it’s maintained a single theme song since the anime debuted in 1973) but it’s also no doubt led to the creators of each version having a convenient excuse to continue some of the things that weren’t so great about previous interpretations. Before I go any deeper, let’s first discuss what the hell it is I’m going to recap. This entry was posted in Super Recaps and tagged Cutey Honey, Cutie Honey, Honey Flash, Honey Kisaragi on April 30, 2015 by Matt Vetrano. This entry was posted in Procrastination and tagged Let's Play, Police Quest on April 29, 2015 by Matt Vetrano. After last week’s return to form for the series, we get a Rainbow Dash centered episode. Now she can be pretty hit or miss when it comes to having her own episode, what with lackluster outings like The Mysterious Mare Do Well and Daring Don’t, but hopefully the writers have been able to learn from past mistakes and give us another stellar episode with everyone’s favorite egomaniacal Pegasus. Will they pull off something nuanced and compelling examination of this character, or will we fall back on old tricks and wind up with another disappointment? Let’s find out!! 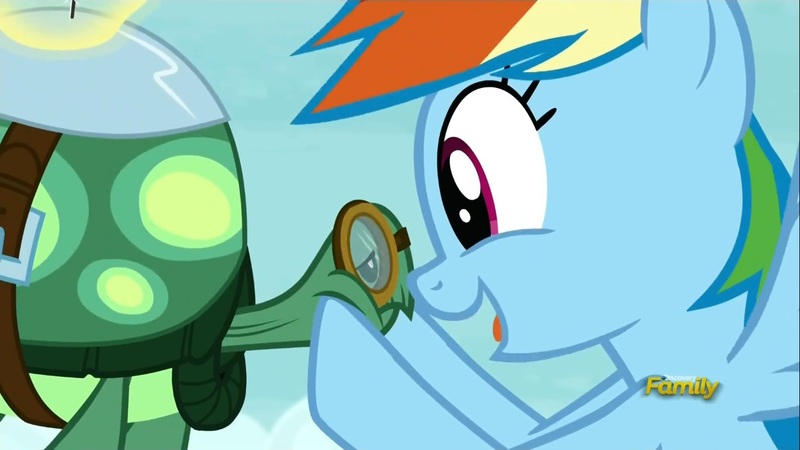 The episode begins with Rainbow Dash who is helping everyone get ready for winter. While doing so, she’s chatting excitedly with her pet turtle Tank about all the amazing things they’ll get to do during the snowy season! This entry was posted in Super Recaps and tagged Applejack, Fluttershy, friendship is magic, my little pony, Pinkie Pie, Rainbow Dash, Rarity, twilight sparkle on April 26, 2015 by Matt Vetrano. This entry was posted in Procrastination and tagged Baseball, Let's Play, Playstation, Triple Play on April 22, 2015 by Matt Vetrano. This entry was posted in The Cartoon Physicist’s Noughtie List and tagged aesops, animated, animation, captain planet, Dinosaurs, DinoSquad, review, ted turner, television series, TV Review, TV series, TV show on April 21, 2015 by thecartoonphysicist. We’re back with another episode of everyone’s favorite show about talking horses! That is, except for Mr. Ed of course (of course). Wow. Did I really do a Mr. Ed joke? ANYWAY!! After the disappointment that was Castle Sweet Castle, this one has a lot to make up for. Will this one prove that the previous episode was a fluke, or will this one continue the downward spiral that last week’s episode predicted? Let’s find out!! 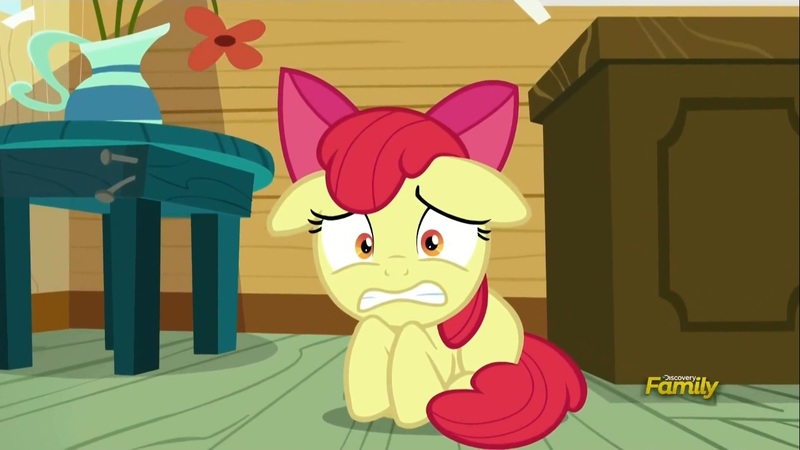 The episode begins with the CMC finding out that Babs Seed had gotten her Cutie Mark in hair styling! Does this mean we get to see her go to barber college!? This happy news however prompts the others to ask some questions that I’m shocked the show is actually addressing! Questions such as what if they don’t like their Cutie Mark and what happens to their friendship once one of them DOES get one? This entry was posted in Super Recaps and tagged Apple Bloom, Applejack, friendship is magic, Luna, my little pony, Scootaloo, Sweetie Belle on April 21, 2015 by Matt Vetrano. 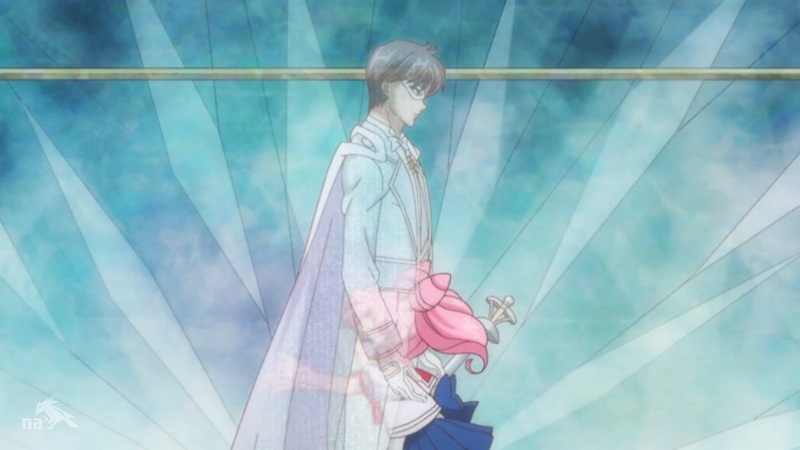 We’re back with another episode of Sailor Moon Crystal! Now last episode was a pretty big stumbling block, but this episode definitely had a chance to make up for it. Considering the last episode left off with us being introduced to King Mamrou, this episode will most likely have a lot of information for us which is good considering we’re now at least halfway through the current story arc. Will we finally get the answers we’ve been looking for, or will this turn into a completely incomprehensible mess!? After all, we ARE dealing with time travel here! Let’s find out!! Last time around, our heroes traveled to the future in the hopes of answering the questions that having been weighing on their minds since Chibi-Usa and the Black Moon started to screw things up in their time. Now that they’ve finally made it to the Crystal Palace of the 30th century, they find that Chibi-Usa’s father is standing watch over their fallen queen. We get to see Chibi-Usa finally reunite with him. EXCEPT NOT REALLY! MOON SHOCK!! This entry was posted in Super Recaps and tagged anime, Artemis, Chibi-Usa, Dark Moon, Luna, Prince Demande, sailor jupiter, Sailor Mars, Sailor Mercury, sailor moon, sailor moon crystal, Sailor Venus, Toei, Tuxedo Mask on April 20, 2015 by Matt Vetrano.